Lovely book! 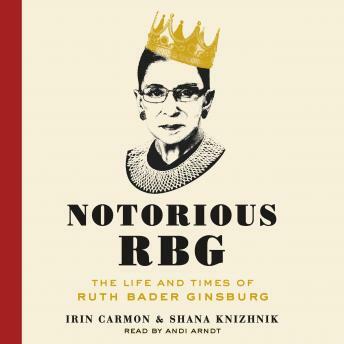 This book gives a great perspective into the person, career, and nuanced values that the Notorious RGB has led with for decades now. I knew very little about RGB before reading this, but the authors paint a great picture of this Supreme. It is informative, insightful for anybody of any political persuasion, and funny at times. Enjoy! Very interesting read! Great deal of information about one of the best justices on the bench.